Christmas pajamas are such a fun way to celebrate the holiday season. Whether I’m decorating the tree with MJD, cuddled up to watch one of my fave Christmas movies (Elf and Love Actually, obvi) or for twinning with my sister on Christmas morning, wearing festive PJs is my fave way to be cute, comfy and Christmasy. Rounding up a whole bunch of pairs for you today along with some cute sock and slipper additions. Not only are these the perfect gift to yourself, I feel like pajamas are an awesome gift for just about anyone on your list! My fave Christmas PJs? The cute patterned leggings and tops with witty sayings or the super preppy plaid/tartan sets that I wear well beyond New Year’s Eve 🙂 You’ll find a whole bunch of both in the list below. Do you get a pair of Christmas pajamas each year? 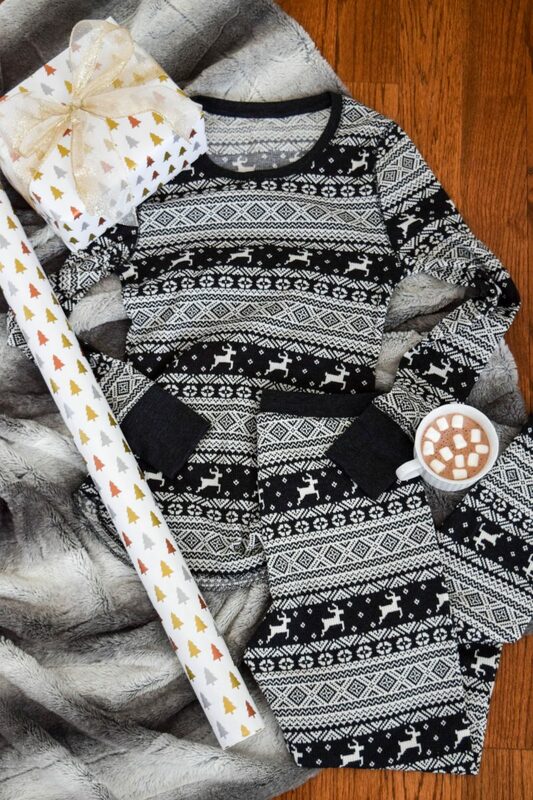 What are your favorite memories in your Christmas pjs? Yes, new Christmas jammies every year! I got almost these exact pj at Primark last week for $14!! They have the cutest selection, I could spend hours in there haha Hope you have a nice Thanksgiving! Oh Primark is such a good idea for them! Thanks for the tip!